Welcome to Day 12 of our annual 12 Days of Gear Giveaways! If you’re just finding us, be sure to click here to find all the giveaways. 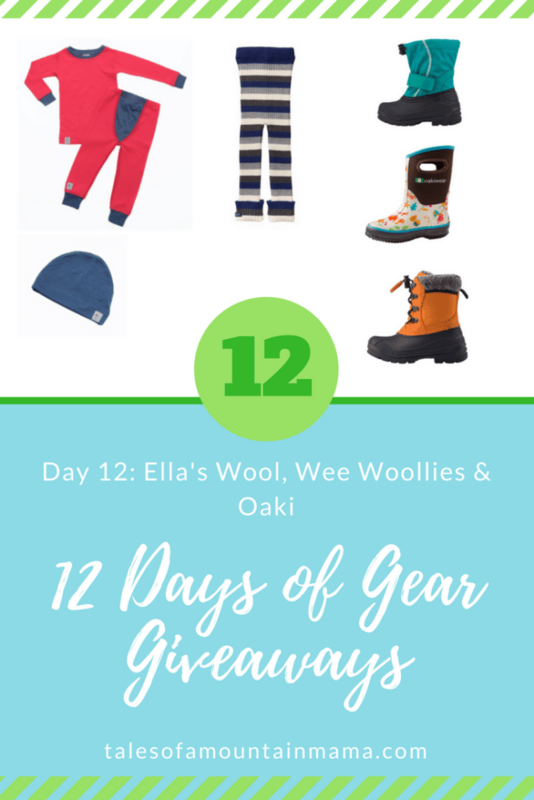 Today you have a chance to win from Ella’s Wool, Wee Woollies & Oaki! Ella’s Wool: When base layers aren’t enough, we love the TUBES from Ella’s wool. They can be worn on their own or over a lighter base layer. They also roll really easily so kids can grow into them. You can read more about them in this post here. Oaki: Oaki (formally Oakiwear) is a great place to look for budget-friendly outerwear for kids. 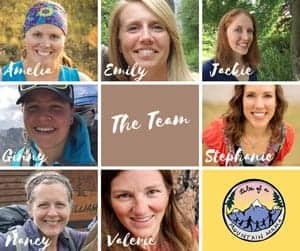 Their trail suits are awesome and their boots have been great for us too. This season they have three winter/snow boots. We are in the process of testing them out, but so far, so good! And you really can’t beat the price. I think any! But top choice is the toggle ones. I would love the toggle ones! I think we’d prefer the Neoprene. 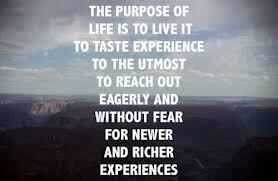 Thank you for the amazing opportunities over the last 12 days! I would love the Oaki Neoprene boots! Love the neoprene, especially since my little boy can’t keep out of any puddles in the early spring. I would choose the neoprene boots. Velcro is great for even the littlest kiddos to practice getting boots on themselves! Probably the toggle ones, but they all look great! I would like the Velcro. Thank you. I loke the toggle boots. My kids love the neoprene Oakiwear boots! I would choose the neoprene ones! I would love to win the Toggle Boots! I would love to win the toggle boots because they are super cute and functional at the same time! I’d love those toggle boots! Those neoprene ones look great for my kids to pull on and off! Oh the beauty of wool! If there are no wool boots, we will take neoprene. I like the velcro boots. I love the neoprene boots! I would love to get the Neoprene if I won! We’d love the neoprene. Thanks for all the great giveaways! Awesome prizes! Thanks for the 12 days giveaway! Love all the gift ideas. It will be awesome to win anything!!!! I love the wee woolies for my LO as our winter is extra long here in the Northwest Territories!!! The wool tubes look good, too!! I love those toggle boots….can tighten on kids feet/ankles so they stay on! I would love those woolies also….finding base layers for kids is so tough and if they are warm they can have fun, but when they get cold they just have no fun outside!!!! I”m’ all about the wool and keeping them warm!!!! I would love to win the toggle boots for my daughter. I’d like the neoprene, especially for those shoulder season days where its too wet for traditional snow boots and too cold for rainboots yet there is mud and slush everywhere! We’d LOVE the Rain/Snow Neoprene boots!!! Neoprene but I like them all! The neoprene or velcro boots would be perfect for my puddle loving niece. I think the Velcro boots would be nice. Or the toggle ones. I like the Neoprene boots. Neoprene boots here for puddle stomping! Tough choice but I’m totally digging the Neoprene! Neoprene boots for the rain! Definitely the Velcro ones for our little guy! Neoprene boots are nice for here in lower Michigan! Would love to win the neoprene boots! The boots with the handle to help pull them up. They are nicely made and look very warm. The toggle boots for Silas! Toggle but any would be wonderful! neoprene for the shoulder seasons! I love the Neoprene boots so my boys can stomp in the mud! The neoprene ones! Go for the warmth! 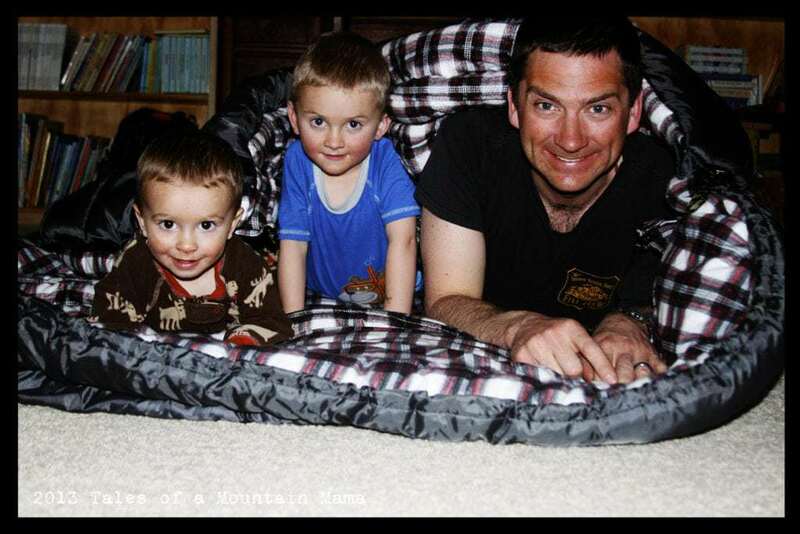 With 5 kids and playing in the snow we try to make sure they have the warmest stuff on. With getting new sleds for Christmas, new boots would be amazing! I would love the toggle boots. I would love those toggle boots! Good luck everyone! Any of them! We love boots!!! The Neoprene would be my choice. Thank you for the chance ! Toggle for a snug fit on a slim active boy. The Toggle boots please Thank you! I’d like the toggle but id take any!!! The neoprene would be perfect!